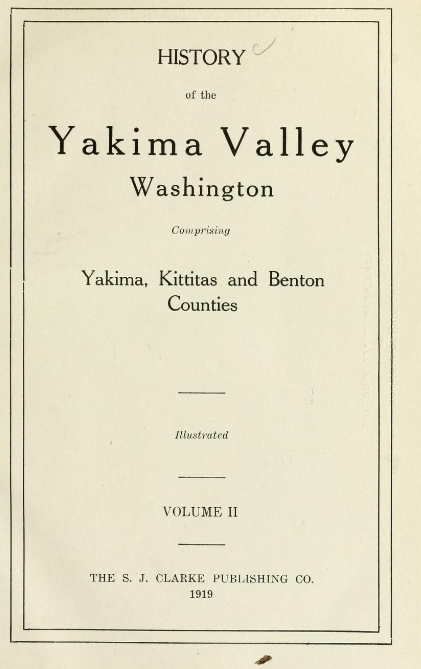 The biography of Alfred Hicks was published in The History of the Yakima Valley, Washington, comprising Yakima, Kittitas and Benton Counties by the S.J. Clarke Publishing Co. (1919) Volume II, page 645. Alfred Hicks was the son of Henry and Hester (Ingram) Hicks, and the youngest brother of my gg-grandmother Margaret Jane (Hicks) Davis. ALFRED HICKS. Alfred Hicks, one of the prominent orchardists in the vicinity of Grandview, having thirty acres planted to apples, has readily adapted himself to conditions and opportunities of the northwest and through indefatigable effort and energy is winning substantial success in his business affairs. He comes to this section from Illinois, being a native of Jo Daviess county, that state, where his birth occurred January 3, 1866. His father, Henry Hicks, was born in Cornwall, England, as was the mother, who bore the maiden name of Hester Ann Ingram. They were married in their native country and their wedding journey consisted of a trip to the United States. Making their way across the country, they settled in Jo Daviess county, Illinois, about 1845, becoming pioneer residents of that district, where they spent their remaining days. The father secured land and began farming, winning a place as the years passed among the progressive, substantial and highly prosperous farmers of his region. Alfred Hicks acquired a business college education after completing his public school work and then concentrated his efforts and attention upon the work of the fields upon the old homestead. He was thus engaged in farming until he reached the age of twenty-four years. Disposing of his interests in that way, he then turned his attention to the grain and live stock business at Scales Mound, Illinois, where he remained for five years. In 1896 he went to Alaska and spent ten years in the far north, traveling all over that section and making trips up and down the Yukon. He won fortunes and lost them in that country but came out with some money. In 1906 he arrived in Benton county, Washington, and purchased forty acres of land near Grandview, in the direction of Prosser. He now has thirty acres planted to apples and the remainder to hay. His is a highly cultivated and improved ranch and he is meeting with most gratifying success in fruit raising. Upon his place are produced some of the finest apples grown in this section of the Yakima valley and his shipments are very extensive. 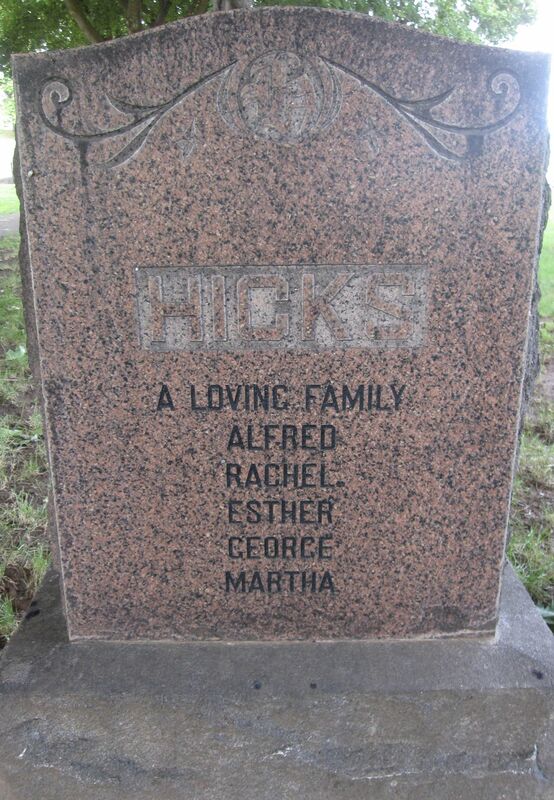 On the 3d of July, 1903, Mr. Hicks was united in marriage to Miss Rachel Bellend, who was born in Norway, a daughter of Rasmus and Annie Bellend. The mother has passed away but the father still resides in Norway. Mrs. Hicks went to Alaska in 1899 and they were married at Dawson, she having spent seven years in that northern country. To Mr. and Mrs. Hicks have been born three children: Esther Olene, born at Dawson in the Yukon territory, April 22, 1905; George Alfred, born at Prosser, Washington, February 16, 1907; and Martha Bellend born at Grandview, October 16, 1912. Fraternally Mr. Hicks is connected with the Knights of Pythias and the Modern Woodmen of America. His political allegiance is given the democratic party and while he has never sought nor desired political office he served for six years on the school board and did everything in his power to advance the cause of education in this locality. He is actuated by a spirit of enterprise in all that he undertakes and his progressiveness is manifest in the excellent results which have attended his efforts as an orchardist of Benton county. His experiences have been broad and varied and especially interesting are his reminiscences of his sojourn in Alaska. His activities at the present time are being intelligently directed and the results achieved are most gratifying.